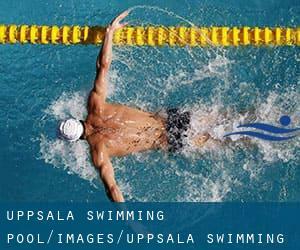 Please have a look at the pools swimmers like you've got reported near Uppsala. Please, report any Uppsala Pool not listed here. 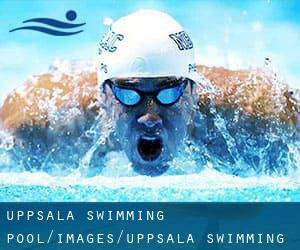 If you might be seeking for varieties of Uppsala Swimming Pool (City), it's good to know many of them belong to gyms or sports centers which also offer lessons. Get informed by calling the premises. Please use the get in touch with information and facts provided at each and every pool profile to check if they are offering aquagym lessons, because is just not so common to see an Aquagym in Uppsala. The greatest choice during your visit to Uppsala will be droping by a Uppsala Pool. Do you realize of any Pools in Spain that ought to be listed here? Contact us!. Not all countries are the identical, and swimming rules and regulations are changing from one country towards the other. So, if this is your first time searching for varieties of Uppsala Swimming Pool (City), be sure to call the premises just before you drop by. There are numerous causes why you should choose a heated swimming pool in Uppsala. The most important one relies on the importance of keeping the body temperature stable. When the water is as well cold, your body will try to warm it up and you will lose strength to swim effectively. Enjoy the best indoor pools in Uppsala and don't worry about the weather. These facilities are open all seasons and you can enjoy a swim at the same temperature every day of the year. If you're tired of possessing eyes and irritated skin, locating a saltwater pool in Uppsala could be the solution. You should know that the level of salt from these pools is well below the level of salt from sea water, specifically they're talking about a tenth or much less. Updated on 2019 St. Persgatan 4 , Uppsala , SWEDEN (Postal Code: 753 20). Swimmers like you reported 25 meters x 12.5 meters, Indoors. Phone number and e-mail address are number for this Pool. Idrottsg. 2 , Uppsala , SWEDEN (Postal Code: 753 33). Swimmers like you reported Olympic size x 25 meters, Indoors. Unfortunately we do not have the email address of this Swimming Pool, but we can give you the phone number. Valthornsvagen 11 , Uppsala , SWEDEN (Postal Code: 756 50). This sports center provides 25 meters, 5 lanes, Indoors. Contact details for this Swimming Pool such as phone number and email address are number.